Speak Out For Men With Breast Cancer! Tell Medicaid to stop refusing coverage to men with breast cancer just because they are men! Gender shouldn't matter when it comes to treating breast cancer. 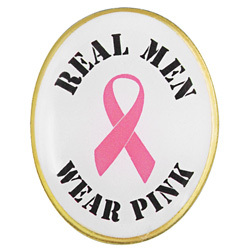 Though breast cancer is less likely to occur for men, still, close to 2,000 men are diagnosed in the US each year. Raymond Johnson of South Carolina was denied coverage for breast cancer treatment by Medicaid on the grounds he's not female. Male breast cancer, although less common, is no different than female breast cancer. In terms of prognosis, treatment, and the emotional effects, a diagnosis for a man carries the same weight as that for a woman. There is no scientific basis in refusing a man coverage simply because he is a man. We have come a long way with gender equality, and not providing this man with the care he needs will only set us back — and more importantly, could have dire implications for his health. Write to Medicaid Administrator Donald Berwick, M.D. demanding that he stop the discrimination and give men with breast cancer the coverage they need. I was shocked to learn that Medicaid denied coverage for a breast cancer patient. In a rare case, Raymond Johnson of South Carolina was diagnosed with male breast cancer, but Medicaid rules say that men are barred from coverage for this type of cancer. Though it occurs much less frequently than in women, male breast cancer is no less serious or life changing. There is no scientific or biological reason that Raymond Johnson needs the treatment any less than any other woman with breast cancer. I find it appalling that you would deny coverage simply based on gender. The United States has come a long way in the arena of gender equality, and your actions only serve to set us back. Please reconsider your decision and help Raymond Johnson get on his road to treatment and recovery — just like you would do for a woman. That's 21,133 signatures! Let's keep the ball rolling.